Christian Beck is head of office for Sven Giegold, MEP, since 2014, with a focus on transparency and integrity issues in the Constitutional Affairs Committee (AFCO). Sven Giegold is the European Parliament’s rapporteur on transparency, accountability and integrity in the EU institutions. On 31 January, the European Parliament has a big choice to make: Will the members of the European Parliament guarantee citizens that they know the lobbyists who influenced their laws? The vote on a mandatory legislative footprint is the first time that Parliament votes on a binding rule for lobby transparency. So far, Parliament’s rules only contain friendly invitations to MEPs that remain mostly ignored. Citizen cannot know who met with their representatives when they write new laws that will govern their lives. With the necessary majority this could now change. All MEPs who co-author new EU laws would be obliged to list the lobbyists they meet while writing and negotiating a new law. This list is called a legislative footprint. This would apply to the one MEP appointed by Parliament to write the draft position (rapporteur), the MEPs representing the other groups in negotiations (shadows) and the committee chairs who moderate their negotiations with representatives of Council and Commission. Lobbying is a legitimate use of the right to free speech. Everybody must have the right to address their representatives in Parliament as well as governments. It is inequality what threatens democracy. Equality in attention is a promise of the EU treaty: “the Union shall observe the principle of the equality of its citizens, who shall receive equal attention from its institutions” (Article 9). The populist wave attests that too many citizens feel otherwise. Today’s European Union is too often seen as a Europe of lobbyists rather than a Europe of citizens. Inside the institutions, this popular sentiment feels unfair. In many regards, the European institutions are already exemplary in transparency and accessibility. Everyone can follow Parliament‘s committees in live online-streamings while many national Parliaments committees still meet in secret. And the EU Commission asks in public consultations for the opinions of stakeholders before drafting laws. To make lobbying transparent, Commission and Parliament already set up a Transparency Register to invite lobbyists to publish their names, finances and aims. Nearly 12,000 organisations already registered voluntarily. Yet Transparency International has shown those data are too often inaccurate. Influential lobby firms, such as law firms, are missing. And the list of all active lobbyists do little to tell if influence on individual laws was balanced. Research shows a huge imbalance between the access of powerful business interests and weaker societal interests on EU decision-makers. Recent new laws show, financially powerful special interest still trump the common good. The NGO Corporate Europe Observatory documents this well for the influence of the tax avoidance industry. 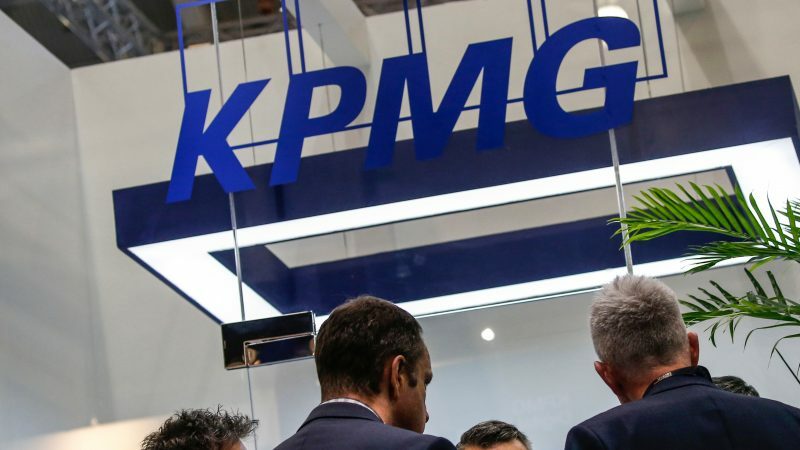 The “Big Four” accounting firms, Deloitte, Ernst & Young, KPMG and PWC, assist multinationals to avoid taxes. This means for small businesses and average people to pay more or suffer from bad infrastructure. Yet, while the role of these “Big Four” was exposed in scandals such as the Luxembourg Leaks and the Panama Papers, the “Big Four” found open ears in Parliament’s legislation. On public country-by-country reporting – a key instrument that could expose and reduce tax avoidance of multinational corporations – the big accounting firm Ernst & Young proposed limitations for “commercially sensitive information”. After intense lobbying, already Parliament adopted a get-out clause that allows multinational corporations to keep “commercially sensitive” data secret. The even less transparent Council of member states watered down these rules further. The “Big Four” could lobby without NGO and the public knowing at the time of law making. Those MEPs who followed their advice did not have to list who they listened to. No NGO or newspaper could count how often they consulted with NGOs, unions or critical experts such as Finance Watch to balance the many lobbyists representing the Finance Industry. Most Christian-Democrats and Liberals want it to stay this way. Through the years of debate in Parliament, Christian-Democrats voted even against making the present voluntary system any stronger. Their core argument is the “independent mandate” of elected Parliamentarians. MEPs should not be forced to vote how others want them but should be free to follow their own conscience. They argue that to vote freely one should also have the right to inform oneself in any possible way, including from unregistered lobbyists. And the obligation to list your lobbyists might lead to self-restrictions in not meeting unregistered lobbyists. As the independent mandate is rooted in the EU treaties, Christian-Democrats and Liberals argued any binding rules on lobby transparency would be illegal. This stopped similar Green proposals for binding lobby transparency for years. This changed only in October 2018, when the Social-Democrat rapporteur for a reform of Parliament’s rules of procedure endorsed the idea. He proposed a compromise amendment and brought the Social-Democrats in to achieve a possible majority. After years of discussion, the European Parliament‘s legal service finally concluded that a mandatory legislative footprint for decision makers among MEPs is in line with the independent mandate. The legal roadblocks on the way towards a democratic decision have been cleared. On 6 December, the European Parliament‘s Constitutional affairs committee adopted the mandatory legislative footprint with the narrow majority of 11 yes to 10 no votes. To become a binding rule, this committee vote needs the confirmation by plenary. The political groups backing the compromise only narrowly reach the votes necessary: Social-Democrats Conservatives (ECR), Greens, Left and EFDD will have to vote in full numbers. And some of the opposing Christian-Democrats (EPP) and Liberals need to join for a majority that can guarantee citizens lobby transparency. Two weeks ago, a badly attended meeting of the Christian-Democrat EPP group decided to ask for the decisive vote on lobby transparency in secrecy. They want a secret ballot instead of a roll-call vote, so no one can know who voted yes, who voted no. This vote on transparency in secrecy would be is bitter irony. The secret vote, forced through by EPP, does not protect the freedom of MEPs but their lack of respect for voter’s demands. Social-Democrats and Greens ask for the deletion of this unbalanced rule that allows 20 percent of MEPs to force the whole Parliament to vote without transparency. Such misuse has to be stopped. . The Parliament’s decision on 31 January will directly affect if Commission and the Council will move or stall on lobby transparency. They negotiated with Parliament since April 2018 on a stronger Transparency Register for lobbyists. Since Commissioners decided in 2014 only to meet registered lobbyists, Commission made binding lobby transparency rules in the other institutions their condition to strike an agreement. With a yes to binding rules for themselves, MEPs could convince the Commission to extend their rules. So far, only Commissioners, their cabinets and directors-general meet exclusively with registered lobbyists and list their meetings online. Most Commission staff drafting new laws is not yet covered. For lobby transparency to be effective, this needs to change. The notoriously non-transparent Council so far offers a sad minimum. To reach a deal, the Council offered a declaration by willing member states. In this declaration, the Permanent Representative and his deputy would commit for the six-month Council Presidency and the six months before to meet only registered lobbyists. About 20 out of 28 member states are willing to implement these actions. Following that logic, member states’ representatives would only adhere to the rules of the transparency register every 13 years when taking over the rotating presidency. If Parliament voted no on binding rules, Council could hide behind this. If Parliament is to vote yes, Council would be under better pressure to submit all staff working on EU legislation to follow transparency rules. Only 115 days from the European elections, the vote on binding lobby transparency can influence the tone for the campaign. Frans Timmermans, Social-Democrat leading candidate publicly supported the Green amendment that is the basis for what is now up for vote. Manfred Weber, Christian-Democrat candidate is yet to position himself or to react to the request of his political group for a secret ballot on transparency. If Parliament is to vote no, populists stand ready to munition themselves with it for new attacks on Europe. A yes, instead, will be a show of force of European Democracy delivering to citizen’s expectations.